Search Iowa Jobs. Iowa Jobs Near Me. If you're looking for Iowa jobs you've come to the right place. We can help you find your next job in Iowa in under a minute. 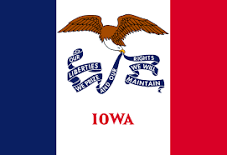 Use are Iowa job finder above to search based on keyword or location. Our Iowa job search pulls thousands of job listings from our search partners to provide you with the best Iowa job opportunities that have been recently added by key Iowa employers. We also have key statistics including how Iowa ranks across the following: Workforce, Cost of Doing Business, Infrastructure, Economy, Quality of Life, Technology & Innovation, Education, Business Friendliness, Cost of Living, Access to Capital and Iowa's Overall State Ranking. Are you moving to a new city in Iowa? Check out All Iowa Cities to find jobs and career opportunities in the city you are moving to. Hiring Company: CRST Malone, Inc. Hiring Company: Miles Capital, Inc. Hiring Lease Purchase CDL A Truck Drivers - Great Benefits - No Money Down! Hiring Company: D&W Sourceall, Inc. Hiring Company: HVH Transportation, Inc.